Walking through the woods in May and June, one might come across an interesting smell. It's slightly flowery, ranging from a sweet scent to one with slightly bitter undertones. Following the scent, one might come across a bushy tree exploding in clusters of creamy white flowers. The flowers themselves are beautiful little creatures, with lovely petals adorned with five jaunty yellow stamen jutting up like a 60s-influenced satellite design. 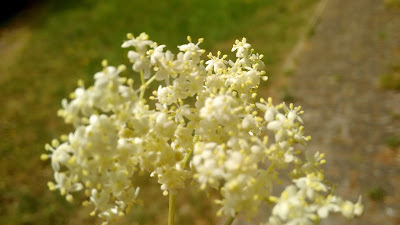 Oh you pretty little elderflower you! Please use a plant ID book to be sure you're foraging the right thing. Hello elder shrub! Please use a plant ID book to be sure you're foraging the right thing. Even better than the Monty Python reference is that these bushes can be harvested to create some delicious things! For those living in Germany, one might be familiar with Holunderblütensirup, which basically translates to elderflower syrup, made from the shrub's flowers. It's often used in Hugo cocktails, a refreshing mix of sparkling wine, the elderflower syrup, fizzy water, mint leaves, and lime juice. Since I'm on this weird Susi Hausmacher kick lately, I decided that I too would make some elderflower syrup (often called cordial). 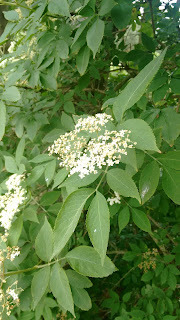 I'm very lucky in that I have access to an area that has a plethora of lovely foragable treats so finding elderflowers was a breeze. 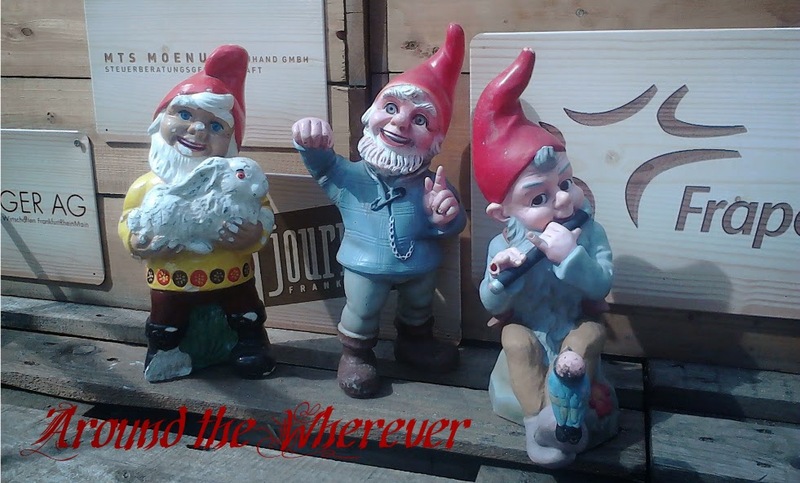 Now that I know what they look like, I have also seen them all over, even within the city limits of Kaiserslautern. I found a recipe online and made a sugar syrup to start the Holunderblütensirup making process. Since I'm new to this, I bugged out a bit when I found out how much sugar one would use: this particular recipe called for four pounds of sugar to a little more than five cups of water! I guess that's where the syrup part comes in. After the syrup had boiled, I poured it over the flowers, oranges and lemons, and their zest. I will steep it for a day and then bottle it and freeze it. The recipe didn't call for citric acid so I have to be careful with storage and handling even with the high sugar content and citrus fruits. I can't wait to make my own Hugo at home, with the elderflower syrup that I made myself. *Oh, wait, let's be honest: I did quote the Monty Python line, quite gleefully, in fact. We were obsessed with this in high school and even watched part of it as part of our Humanities class. I'm not entirely sure why, except maybe because...um, the Crusades or something? I went to a Catholic high school so it's ironic they'd show it. My week: June 28 ed. My week: June 21 ed. Milestone in learning German reached! My week: June 14 ed. My week: June 7 ed. My week: May 31 ed.